St. Patrick’s Day is a cause for celebration in the United States. Revelers from across the country congregate to sip drinks, eat food, and celebrate their Irish heritage (real or imagined). No St. Paddy’s Day party is complete without beer and spirits flowing freely. Unfortunately, the time-worn green beer is not only unpleasant but also extremely cheesy. To give St. Patrick’s Day a real kick with a fresh spin on a classic cocktail, you can become the hit of the party. Here is a great recipe for the Irish Colada, incorporating the traditional green color of this festive March day but with the flavors of the tropics giving it a unique and flavorful spin. The foundation of this delicious Irish Colada recipe is the matcha coconut syrup, made ahead of time and stored for use in the cocktail. Matcha is the finely-ground powder from special green tea leaves; it has a nutty flavor with just a hint of bitterness. Mix all three ingredients together in a saucepan over low to low-medium heat. A fine whisk can help blend the matcha powder into the mixture. Once the mixture is fully combined, remove from heat and let cool, then store in the refrigerator until use. Many people prefer to mix the ingredients together in a cocktail shaker with ice, then strain and serve in a highball or tall cocktail glass over crushed ice. This gives the drink more of an iced matcha look and feel. Alternatively, the drink ingredients can be blended with crushed ice in a blender, then served in tall glasses. Garnish with fresh pineapple rounds and toasted shredded coconut sprinkled over the top. This delicious green-hued cocktail is refreshing and is sure to be the hit of your next St. Patrick’s Day party. 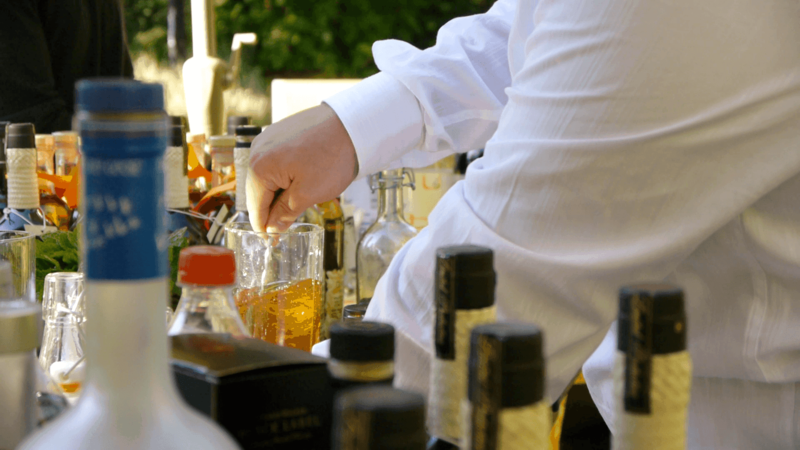 Contact us today for a 5-star bartending experience in the San Francisco Bay Area!